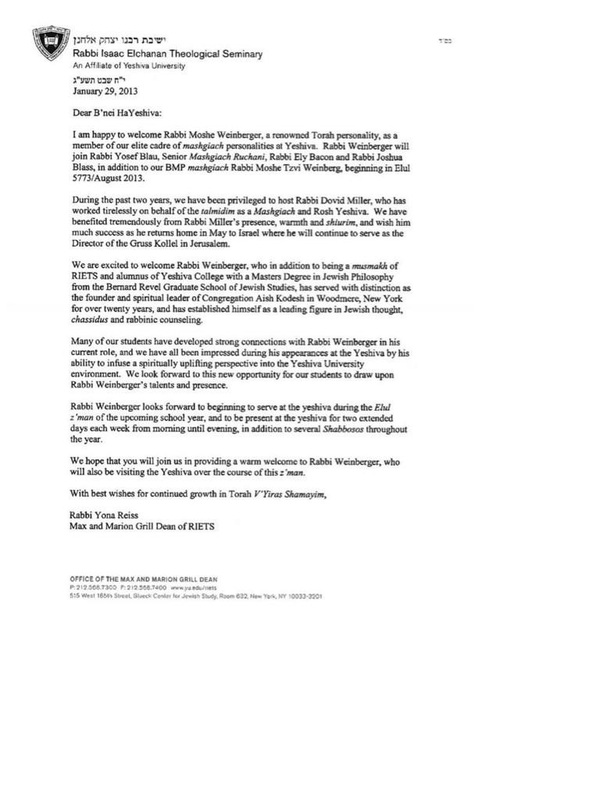 Maybe Rabbi Moshe Weinberger will bring YU "back to the fold?" Then again, they're focusing too much on his past as a YU talmid, which doesn't bode well for us. That would tell us that they want him to get in line with the others, like Rabbi Joshua. The Mashgiach Reb Joshua, s'klingt zeyer modneh. I also wonder if twice a week and a few Shabbosos is enough to put your stamp on a large institution such as YU. I knew this would snowball into something big, but one could only sit back and watch it unfold. We know that you care about kids alot more than they do. Do not take this to heart. You will rise above this. העם אתך. The abuse Gestapo will not bring you down. We understand what you said because we took the time to listen without jumping to conclusions. You're no less "sensitive" to abuse than they are.Your record of helping countless couples and families speaks for itself. You did NOT downplay abuse or try to make light of it. I would however suggest that in this day and age we not allow our thoughts and statements be fodder for the haters. They will stop at nothing because their lives consist mostly of hurting others. Issuing a "correction" or retraction may be the right thing here, but then again, you'd be playing into their hands. I'm no PR guru, so it's up to you, Rabbi. But this has to stop! We cannot allow ourselves to be manhandled by these people. This is America, not the FSU. We have a right to express ourselves. OTD'ers of the world, rejoice! somehow you now feel vindicated by the deep, dark secret that a website is reporting, namely that Brooklyn Yeshivos aren't up to snuff. OK. Very little details are given, just that Heshy Gelbstein says he can't speak English, a Crown Heights kid says he was never taught English in Oily Teyreh, and Libby Pollack says the City knows what's going on and chooses not to do anything about it. או שכן או שלא. Other than the screaming headline there's not much there, Sonja. Tell me something that I don't know. So now it's OK to leave your wife and kids and waste your lives, since you didn't get a proper education! ... If only I knew! So now what? we call in the bureaucrats and force the Yeshivos to change the way they've been working for 60 years? And of course we should cut whatever funding we give to those darn Yeshivos - all they do is abuse kids and cover it up. We KNOW that. Seriously. What does a story like this do, Sonja, other than make lots of people look bad and maybe get you a promotion? But yet when it comes to failing NYC schools that get per-student aid of $----- annually all they have to do is complain about the lack of funding.... and they get a pass. As a follow up we now learn that Marty Markowitz is not gonna take the blame for it.... Which is good, I suppose. I always wondered what a Boro President's job was; I guess it's to make sure that Vizhnitzer boys learn their ABCs. And for that he gets a whopping $------ a year. Nit shlecht. Sonja's doing her job and getting extra mileage out of this shocker. "SovietSonja," if you will. But as far as looking inward we can be "proud that we've created so many disgruntled kids that sit around and look for ways to destroy their old schools, communities, and sometimes families. No to disassociate myself from the rest of frumme Yidden; I do have to say that this was not the case with me and my alma-mater, Yeshiva Imrei Josef Spinka. Neither is it the case in all non-Chassidishe Yeshivos. In Spinka we took state tests all through elementary school and Regents in High School. Yes, certain books were "off limits," I guess, but I would bet that the same goes for other Parochial schools. The fact that you spoke Yiddish with your friends and at home didn't minimize the importance that was given to the 2-2.5 hours of Secular studies. Some schools don't emphasize it as much as they maybe should. OK. Just leave us alone already! Enough with the generalizing and painting with the broad brush! Go and expose the schools that get millions from the city and have nothing but dropouts and sub par performance from staff. See how they misuse funds and milk the system. The gall of these writers to nickle and dime Yeshivos that get almost nothing from the City anyway! But of course that will never happen, because Heshy Gelbstein didn't go to Public School, he went to UTA, and now is his time to get back at the staff there. So if it's not abuse it's lack of secular studies... Soon it'll be corporal punishment, היל"ת, that will be highlighted in some story. So it's really not about the schools or how well Chassidishe kids know how to read or add. It's about payback and revenge from disgruntled kids. And the more I see it the more I'm disgusted by it and see it for what it is! It's causing quite a sensation, this story. The TAY Rebbe's grandson. The Kretschnifer's grandson. A Chabadnik. A Meshichist, נאך צו דערצו! And he's apparently some sort of mashpia as well! Truth be told, It's a bit embarrassing... The Meshichism part, that is. I hadn't heard of him before this week. But what can we say? Sometimes a bochur finds his place where his parents don't want it, and there's not much they can do, other than bite their tongues. The fact that this doesn't happen MORE OFTEN in Rebbishe kreizen is what should surprise people, not the other way around. Any half-serious kid that grows up in such a family should be banging the doors down trying to get out of there. He's tired of the infighting, the fawning over him when he just wants to be like any other kid, and the lack of privacy. 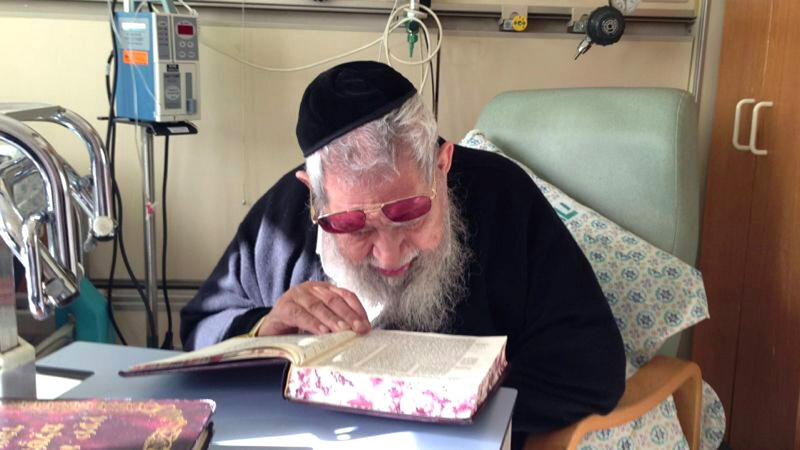 Chabad is very often the antidote for any kid from suffering from OverRebbish disease. I do not really know what his zeides have to say about his transition, but judging from other such stories it's probably not a reason for them to rejoice. They like their eyniklech to follow in their ways. Reb Meir Porush (r) with the Rov of Kfar Chabad Harav Reb Mordechai Shmuel Ashkenazi Shlit"a, yesterday in Kfar Chabad. So the elections have come and gone. We now can diagnose and dissect the results. 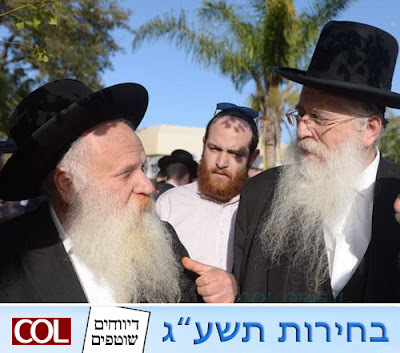 Lots of the discussion was about how much Gimmel (UTJ) would get, whether or not Amnon Yitzhak would get in, and if he did how much damage would he do to Shas, and of course, how would Chabad vote. Looking at the raw numbers you'd get the wrong idea. There's great distrust in the Chabad community for UTJ, some of it because of Gush Katif, some of it dates back to 5749, and some of it back to ---- what, 5532? Then there's the issue of מסירת שטחים to the enemies of the Jewish People, which is forbidden according to the Holy Torah - something some Gedolei Yisroel don't seem to think is their business. Many Lubavitchers seem to think that they need to vote that issue above all, why even Reb Yoel Kahan said so the last time around! At least he said that we cannot vote for Gimmel after what the Yated wrote abut Chabad and the Rebbe just prior to the last election. 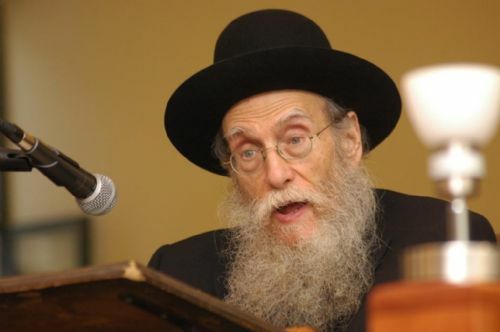 This time around - to their credit - UTJ's Reb Meir Porush pushed hard for Chabad's votes and it paid off. Ignore the numbers if you will, or look at it this way: 1/3 of Lubavitchers in KC saw past the distrust, the dislike and worse and voted Gimmel! They are not Agudah partisans, they have no love for several of the UTJ's MKs and for many of its leaders, but they did their duty anyway. They heeded the Rebbe's call to vote for הרשימה החרדית ביותר. Based on the numbers of eligible voters it seems quite a few stayed home, not willing to vote Gimmel, but not able to vote Otzmah when the Rebbe said Charedis. I think that a more vocal chorus of Rabbonim and Mashpiyim calling to vote Gimmel would have accomplished even more, but maybe they weren't willing to stick their necks out, for fear of being proven wrong by UTJ - G-d forbid. All in all it seems like Porush is happy with what he accomplished. I believe we will see an improvement of relations between the Chabad and general Charedi world in the near future. Judge rules 7 year old סאטמארע אינגל may not travel to Israel because he will be influenced by the "splendor of the State..."
This anti-Zionism stuff is pretty serious, aye? Of course divorced couples will use anything to further their cause and to spite the other party, but still. I just wish that Rabbi Chaskel Teitelbaum of Clymer Street would be a bit more truthful. 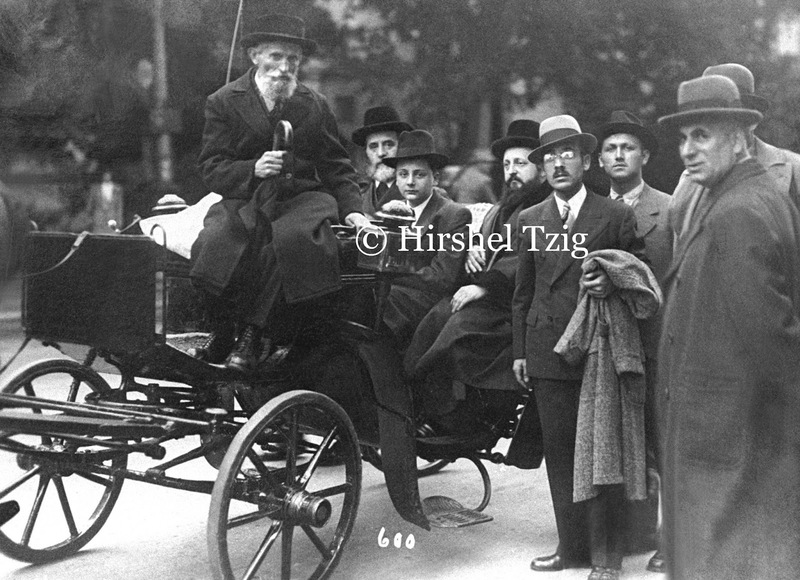 I don't think that the Grand Rebbe opposed all travel to Israel, otherwise why would he travel there several times himself? And why would he then not tell all his followers to get up and leave! ewwww, but they say it works! Imagine, if you will, for a second, that this weird treatment was found in the טעמי המנהגים, or in some other "primitive" segulah sefer, how the enlightened ones would howl with laughter. How Prof. Marc B. (aka מלך) Shapiro would have a real problem with it. How Facebook's walls would be "full of it." But now that the NYT prints it it's the height of hygiene. Cutting age medicine, so to speak. Would you call this "repulsive?" I think so. Yet, in the name of science and health we sometimes overlook the repulse of it and do it for the greater good. I wonder what prompted the guy in charge of this study to even try it... Just 4 days after Shapiro's thoughts about one particular segulah we get this story. Coincidence? I think not! 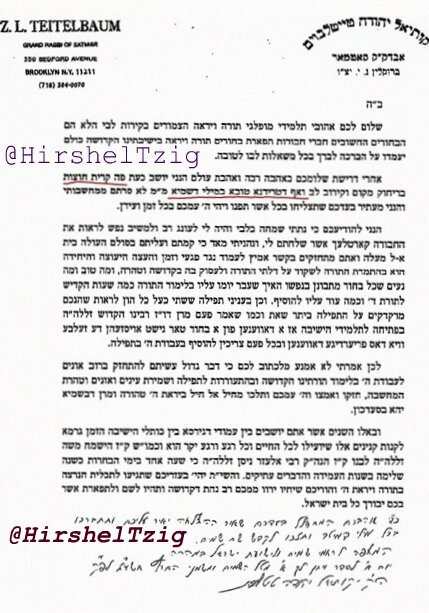 Not to be outdone by his older brother, the Rebbe, Reb Aron of Satmar-KJ, who despite being on vacation in faraway Palm Springs finds time to sit and discuss lofty matters on Chof Daled Teves; The Rebbe, Reb Zalman of Satmar-Willi writes that he too is on דאטשע; he is very busy "במילי דשמיא", but he will take a few minutes to write a letter to his dear Bochurim, since there is still קירוב לב. You'll just have to take his word for it as no videos exist. This 32 page treasure full of lies, half-truths and distortions gives us a glimpse into the Ahavas Yisroel that many of the Gedolim had for their fellow Jews - especially Chassidishe Yidden, ובפרטי פרטיות אידן בעלי מסי"נ כמו חסידי חב"ד ורבותיהם נ"ע. And I've only read until page 3... Why do I call them lies, etc.? Because otherwise I have no choice but to lose all respect that I had for many of these Rabbonim and Roshei Yeshiva. What would you do in such a case? Comments asking me to decipher and type this up will be ignored, unless you send me your credit card information and allow me to charge it $35 an hour. I think that's reasonable for this type of work. If you're going to post this elsewhere or pass it around at least link back here. For our non-Scribd users here's a link to Box, which is good with most filters as well. I am sending you a picture of Reb Yosef of Niregyhaza. He was born ח' תמוז תרי"ט and died א' שבט תרפ"ז. 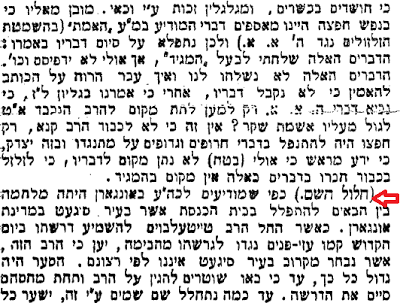 [which would make today his yohrtzeit] He was the youngest child of Reb Mordche'la Nadvorner. He lived in פעטשעניזין, Pechenizhyn, (Pecz) Galicia, where he led his followers. He lead an ascetic life and barely spoke mundane matters (he was a Shoisek). During the First World War he fled Galicia and settled for a while in Mateszalka, Hungary. He later settled in Niregyhaza, Hungary, where he passed away and is buried. There a many Mofsim attributed to him. At the שערי הוראה מסיבה this week for Bochurim who farherred themselves on The Shulchan Aruch Harav. 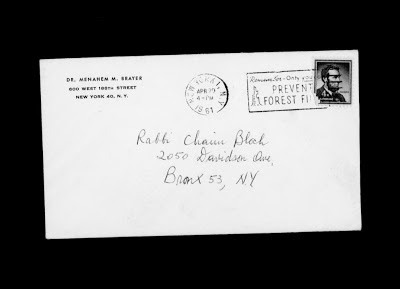 שערי הוראה is a project of Harav Chaim Shmerler, Rosh Yeshivas "אורייתא." As you can see bochurim from many, many non-Lubavitcher Yeshivos participate and attended and were awarded for their efforts. אשרי חלקם of the organizers and supporters! 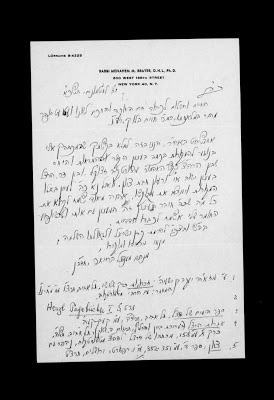 who knew that Reb Shlomo Brevda der Gro'nik was a בן אחר בן of הרה"ק ר' חיים חייקל מהאמדור זצ"ל, תלמיד הרה"מ ממעזריטש נ"ע? I read it in the Hamodia yesterday and almost fell off my chair! except that I was standing when I read it... For years you'd see the small posters announcing his weekly shiur in Telsher shtiebel minyan... Truth be told it's a fascinating life's story, how he went from almost being a college boy to a maggid and baal mussar of world renown. (כידוע דער סיפור מיט א חסיד פון אלטער רבי'ן וועלכע האט געהאט א חבר א חסיד פון ר' חייקל'ן שקינא בחבירו שהי' מתפלל בהתלהבות גדולה ונכנס ליחידות לרבו ושפך לבו שאין לו את ההתלהבות שיש לחבירו - וענה לו רבינו הגדול: "ער ברענט דען? ר' חייקל ברענט אין אים!) 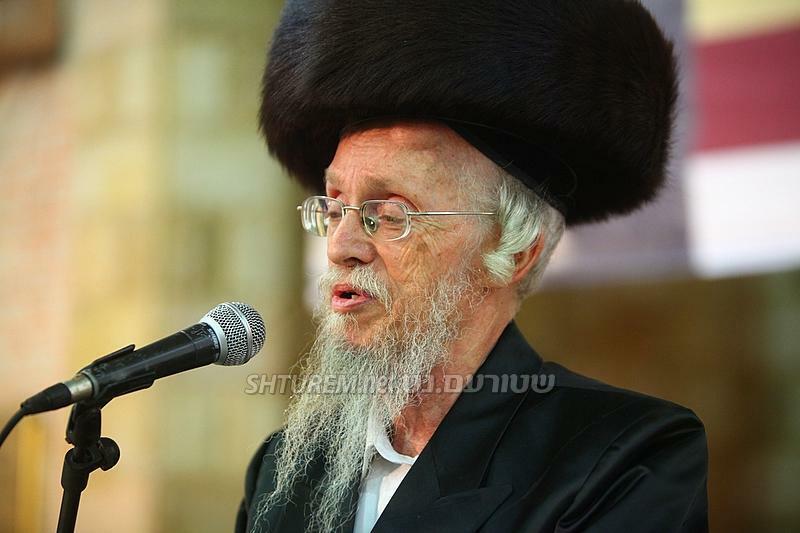 His ancestor Reb Shmuel of Hamdur sat in prison because of chassidus! Isn't it a shayleh of אל תטוש תורת אמך to abandon that rich heritage? 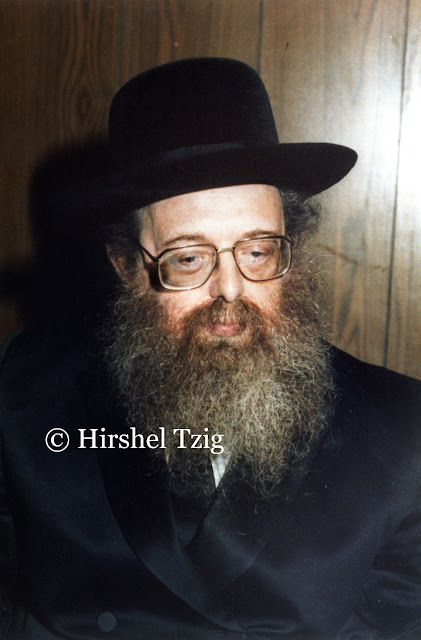 I realize that he was "born again" - sorry about that - as a mekabel from the Mashgiach Reb Chatzkel, but RYL passed away some 40 years ago, right as he was turning 40... Forty is when you can start learning Kabboloh. Substitute Chassidus for Kabboloh and voila! But so goes it. Der Eiberhster fihrt di velt. 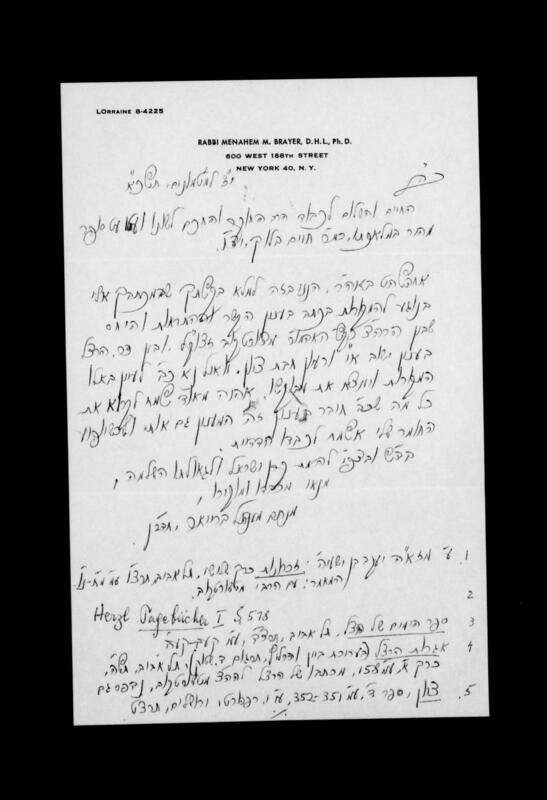 "New revelations" about the Alter Rebbe's Yichus to the MaHaRaL? 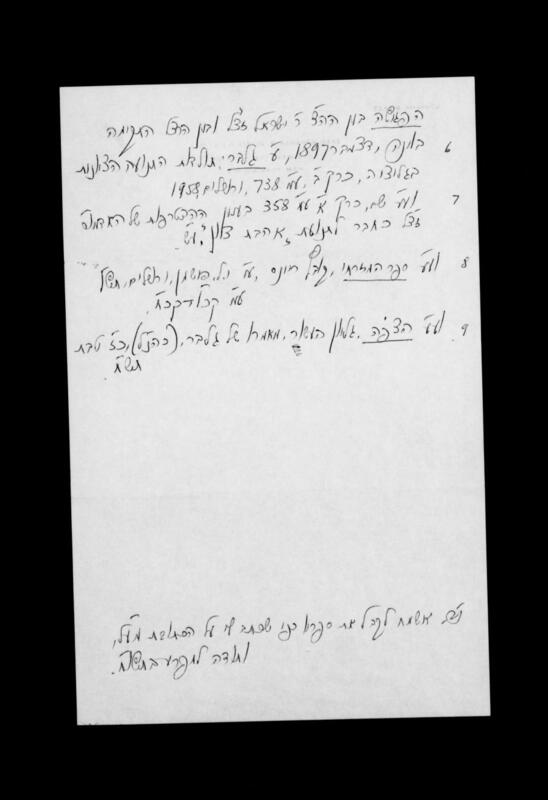 Historian/Genealogist Reb Naftoli Aron Vekshtein is certainly a very respected חוקר יחוס. Maybe the best. The fact that he's frum also works in his favor; he has the necessary respect for the personalities he researches and for other Rabbonim and Tzaddikim, even if he reaches different conclusions, which helps his acceptance among people like yours truly. The non-frum simply are arrogant and disrespectful, they know better than anybody - not so here. 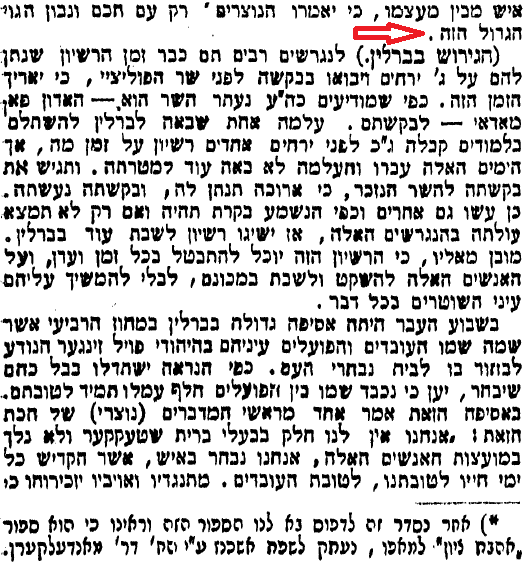 Vekshtein quotes the Rebbe extensively, but reaches a different conclusion, even quoting the Rebbe who he says was always looking for more information about Reb Boruch the AR's father, so here he is giving that information.... Having said that - and I'm a total amateur here - it seems to an amateur like me that he's shooting the arrow first and then drawing the bull's eye, to use an overused cliche'. 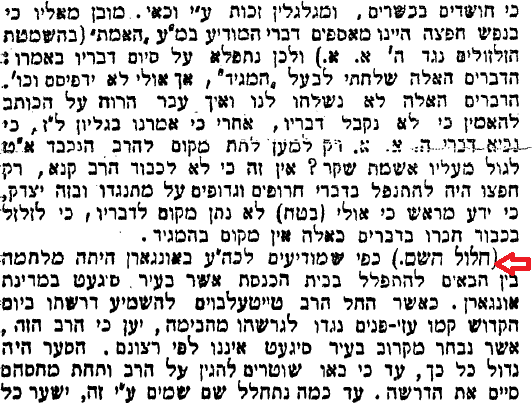 Much of what he concludes is based on his choice who he prefers to believe - one eynikel of the Rebbetzin Rivka over another, (i.e. Yisroel Ber Ginsberg Schneersohn ben Chaya Mushka Menachem Mendel ben MaHaRaSH) an old timer who heard it in his hometown, and so forth. Obviously a Lubavitcher Chossid chooses to believe his Rebbe, who also says that he heard it from the RR - not to mention the fact that Rebbe knows best anyway. There are several items here that differ from accepted Chabad opinions - some of them he doesn't even bother to note when he mentions them! 1) Was it Boruch or Yisroel Boruch? 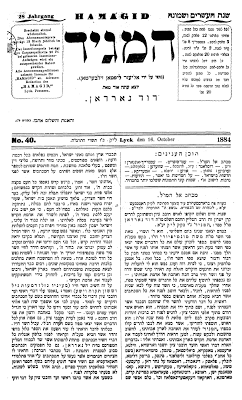 2) Was Reb Boruch's father Schneur Zalman - as per Hayom Yom, or was it Avrohom? 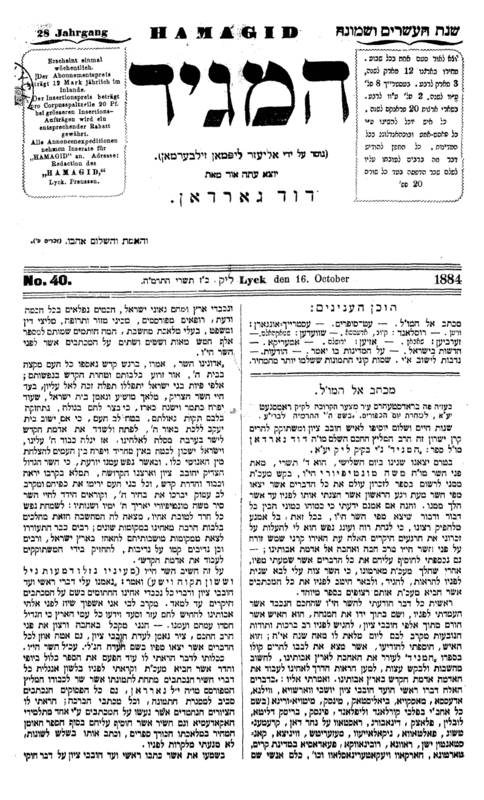 4) When was the AR born, was it Chai Elul תק"ה as per Hayom Yom, or another date? 5) Is the Matzeivoh in Selish/Sevlus/Vinogradov the AR's father? Much of what RNAV concludes is based on the Matzeivoh in סעליש that says ישראל ברוך ב"ר אברהם, ח' תשרי תקנ"ב. The Mesorah in that town was that this is Reb Boruch's מקום מנוחה, and an ohel was built there some 10 years ago. Yet, practically, nowhere in Chabad literature will you see the name Yisroel mentioned. 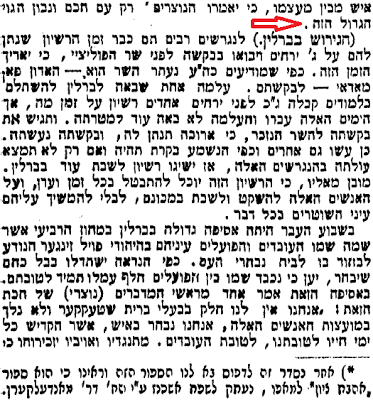 RNAV seems to think that the name was dropped by Reb Boruch since he was a talmid of the BeSHT andit was not befitting to be called בשם רבו. But if that were the case the that tidbit should have been mentioned when mentioning RB. 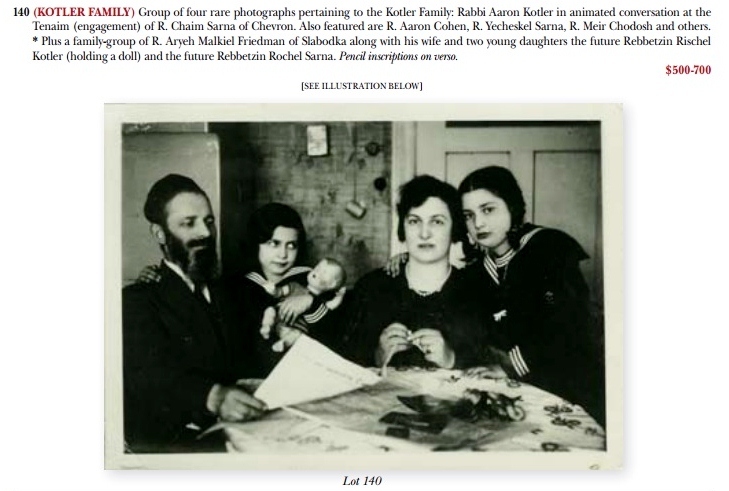 Also, despite the fact that the date of RB's passing is debated by virtue of the fact that the AR's descendants were only named Boruch from a later date; yet nobody mentions - as far as I could tell - that none of them were named Yisroel Boruch! Another point not mentioned is that if the AR's zeide was Avrohom and not Schneur Zalman, where did he get the name Schneur Zalman from? They just pulled it out of a hat? And despite the fact that the date of the AR's birth is not discussed and argued in this kuntres, he does make mention of the date תק"ז, which some use as his DOB. Truth be told I was relieved to see that he decided that the Yichus - although not Ba"B - is confirmed even by Monday morning QBs... היינטיגע טעג קען מען דאך גארנישט נישט וויסן... There's much more to discuss on this topic, but in the interest of time let's get this out now. Discuss. Reb Boruch's Matzeivoh in Sevlus. This is where we see that a Rebbe or Rov really needs the vacation time. Can it get any better than this? Sitting in Palm Springs with 12 people talking Chassidishe Dvorim B'teilim & Sippurei Tzaddikim! But any Rov or Rebbe that sits down in such a setting really needs to know his stuff, because he's gonna get grilled, and he better have the answers, otherwise he looks foolish. But the Rebbe Reb Ahron - as in Rebbe Reb Ber... - seems to pass this test as well. 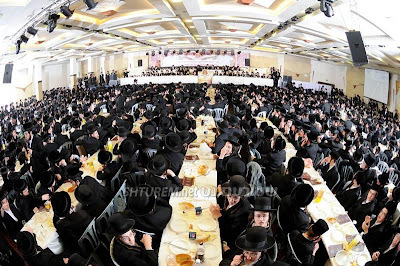 Looks like my former menahel - sitting to the Satmar Rebbe's left - also needs a vacation from his Spinka job; years ago he didn't go to Palm Springs... I guess times ARE changing. 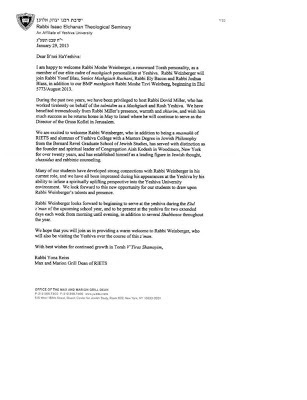 And the shliach, Rabbi Denebeim, also makes his voice heard - which is nice to see! Rabbi Hecht - who passed away on Motzoei Shabbos Chof Daled Teves - is heard here introducing the Israeli Consul General at the same conference that featured the late Ponovizher Rov as well. He was Rov in the Sefardic "Shaarei Zion" shul for over a yovel, until his retirement soon after the Rabin assassination. The above link will give you the biographical sketch you seek. Is Gil Student gefallen ofen kupp? Otherwise why would he post a thing like this?! But the truth is I can relate. After some 7.5 years of grinding out this stuff on a near-daily basis you sometimes get desperate. Speaking about Chabad, especially when juxtaposed with words like "heresy," gets people to read and talk about you. So he really meant no harm. "What an offputting title to a post. I realize you end up in the right place. But the idea that you or the people you quote are remotely qualified to render judgments on two of the greatest contributors to Jewish theology in modern times is so laughable and farfetched as to border on the offensive. Even someone whose spent years reading Kabbalistic texts and understands the implications of the Kabbalistic terms at play might be flummoxed and confused by this debate. It really relies to a great extent on arcane of how you read Lurianic and Zoharic texts which are not explicit on this point. Also on how you parse a few disputes in 13th cent. Kabbalah which are not at all clear. I really don’t think more than half a dozen or so people in the world are qualified to weigh in on this question from either traditional or academic perspectives. Certainly not to render definitive judgments. This is like headlining a post “Was Descartes Wrong?” or “Socrates, what a moron!” without really understanding the entire oeuvre and reading copious amounts of secondary material. It's provocative to juxtapose a picture of the Alter Rebbe with some trash talk. What it isn’t is productive." 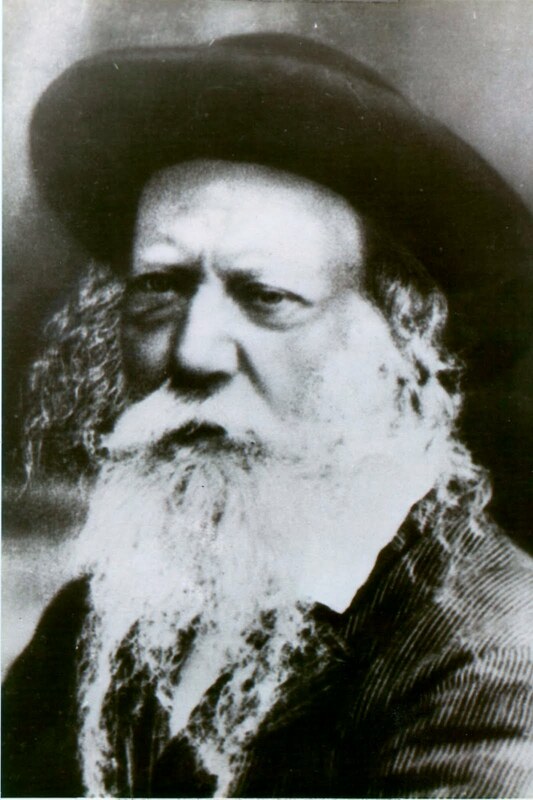 a younger Rebbe in the early years of his Rebbistive. The Rebbe's father, the Rebbe of Sadiger-Pshemishyl, brother, o"h, and great uncle, the Rebbe of Sadiger (The Avir Yaakov) somewhere in Europe. Marienbad, perhaps. 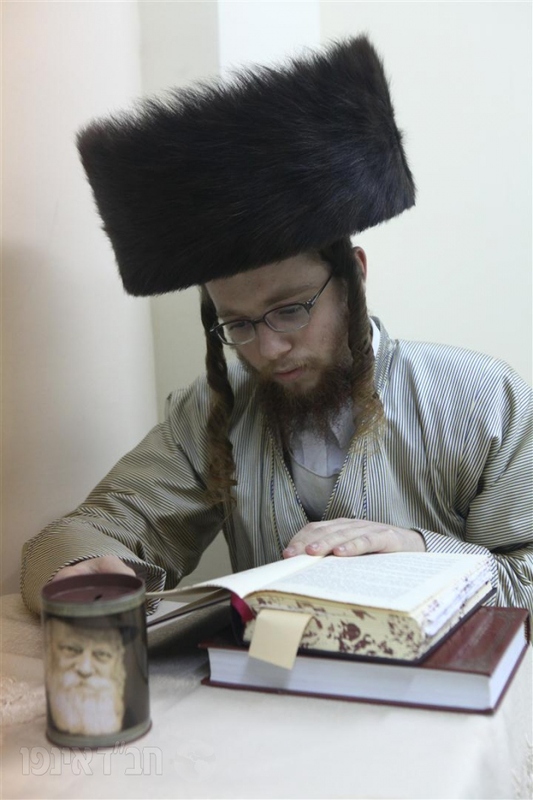 His father was a "melech yisroel" while in Pshemishyl, but lost it all during the War, and never really had anything after that. It was the niftar that rebuilt it somewhat.